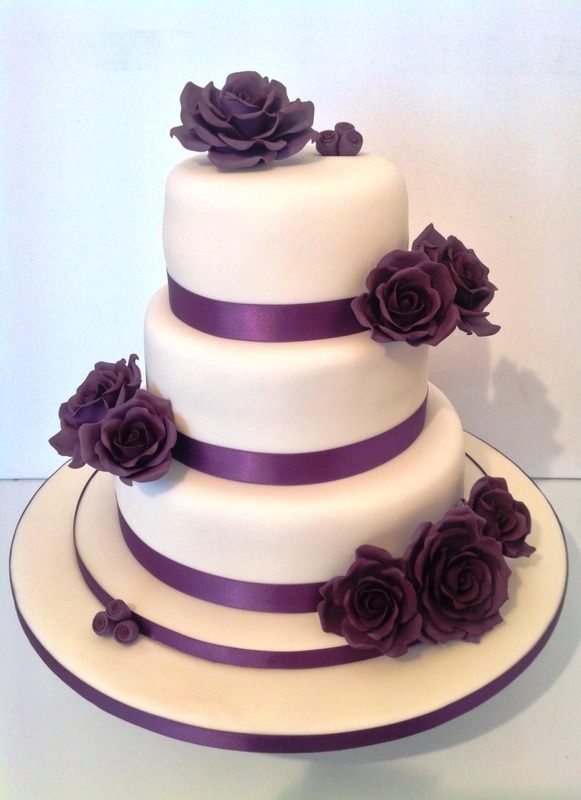 Whilst white wedding cakes remain ever popular, we can also match the base colour of your cake to suit your personal wedding colour scheme. 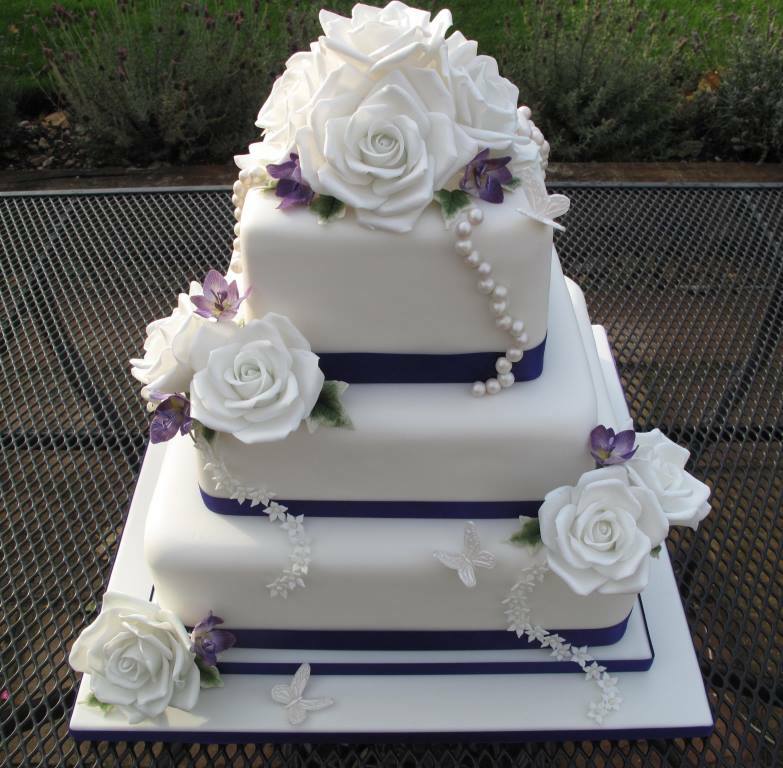 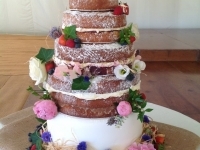 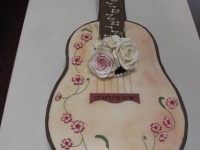 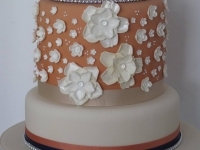 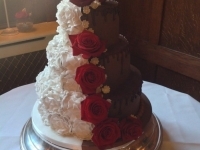 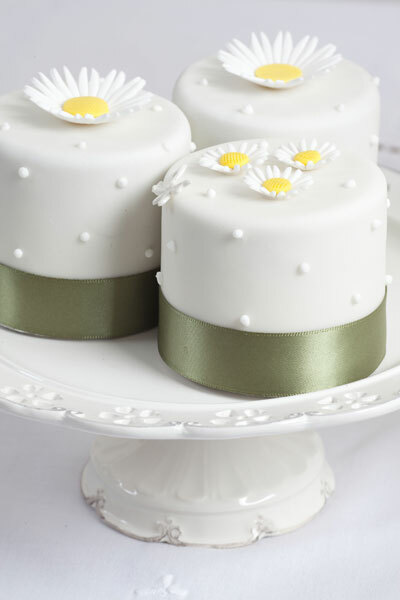 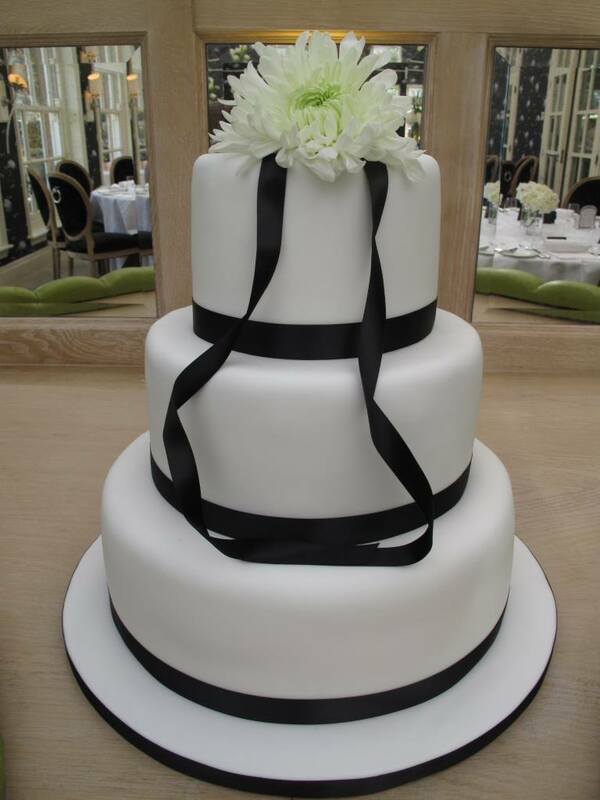 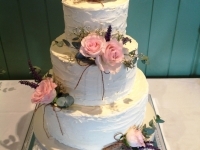 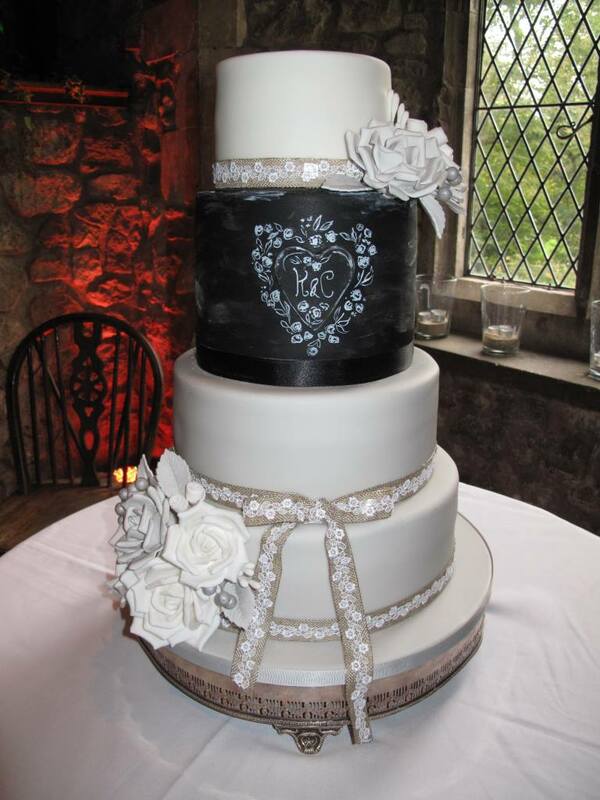 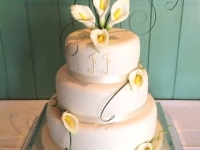 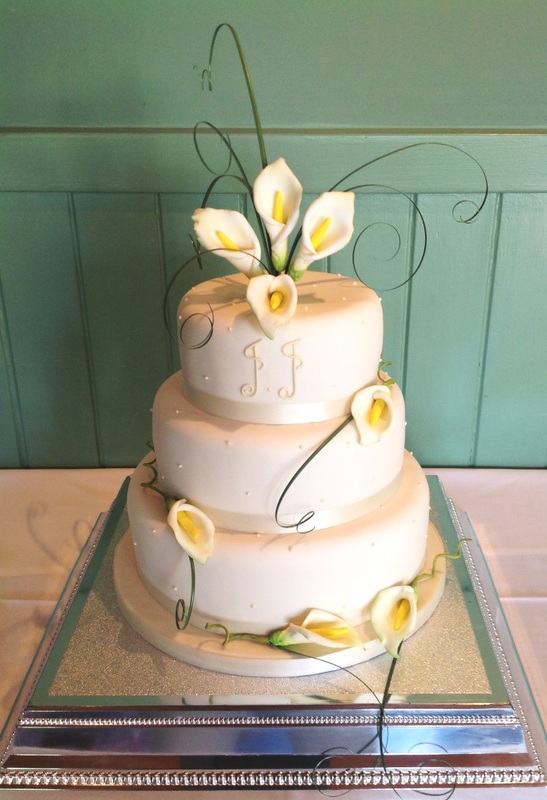 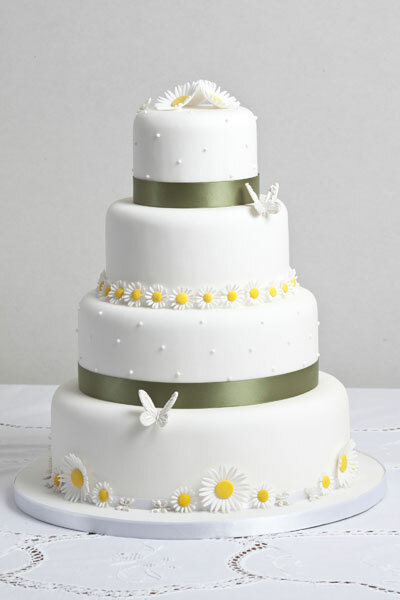 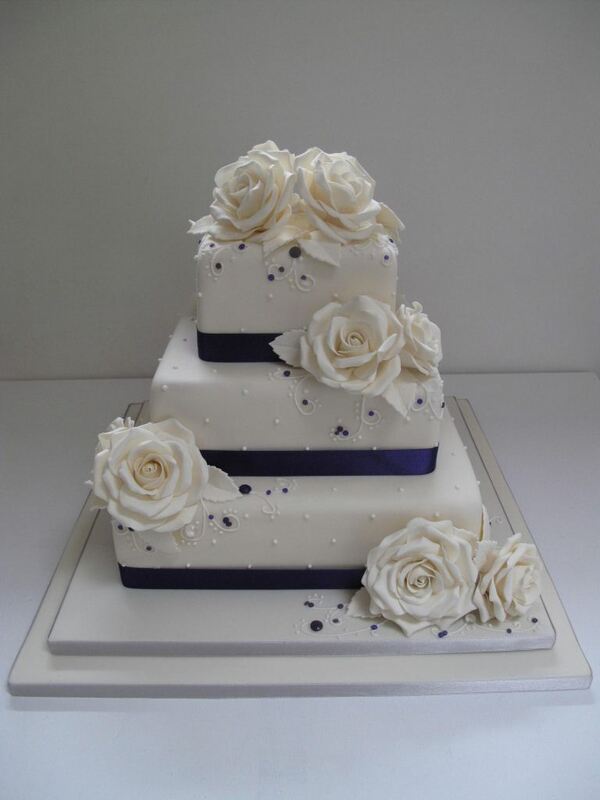 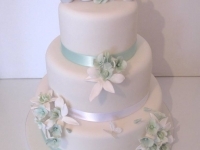 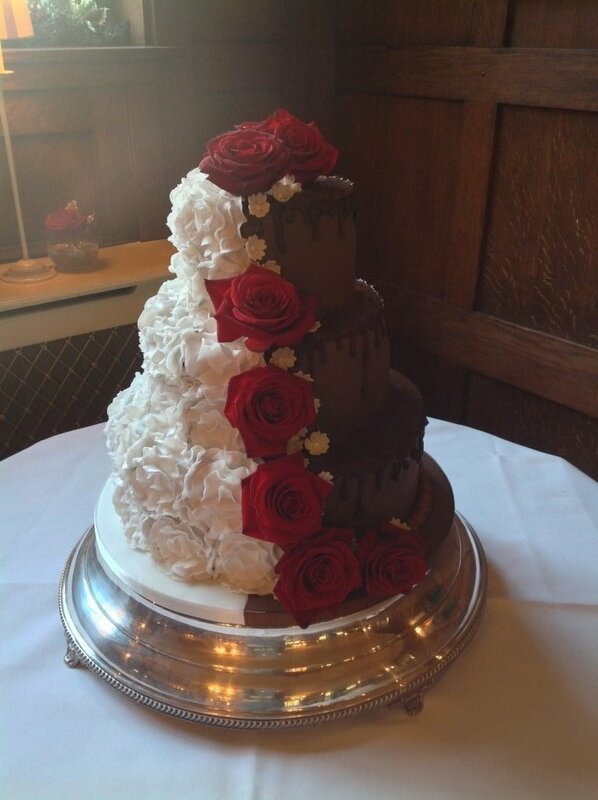 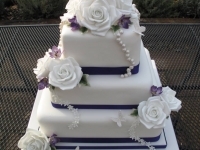 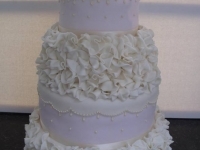 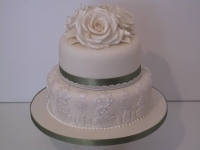 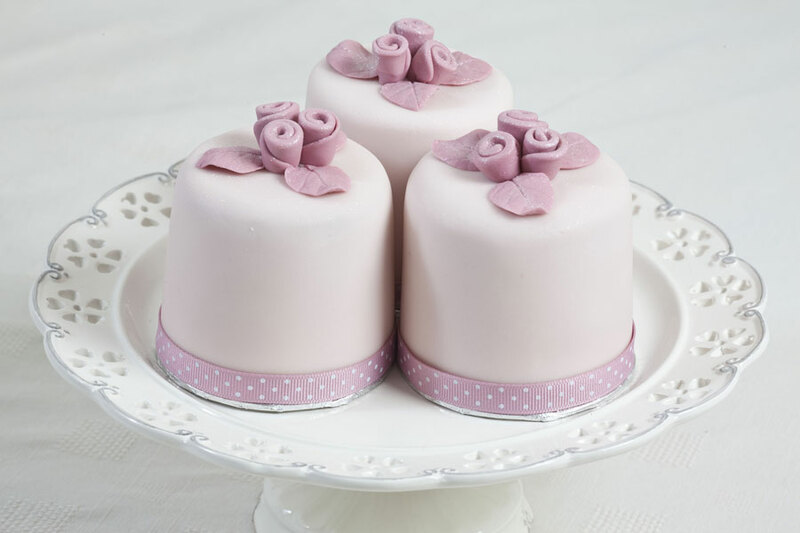 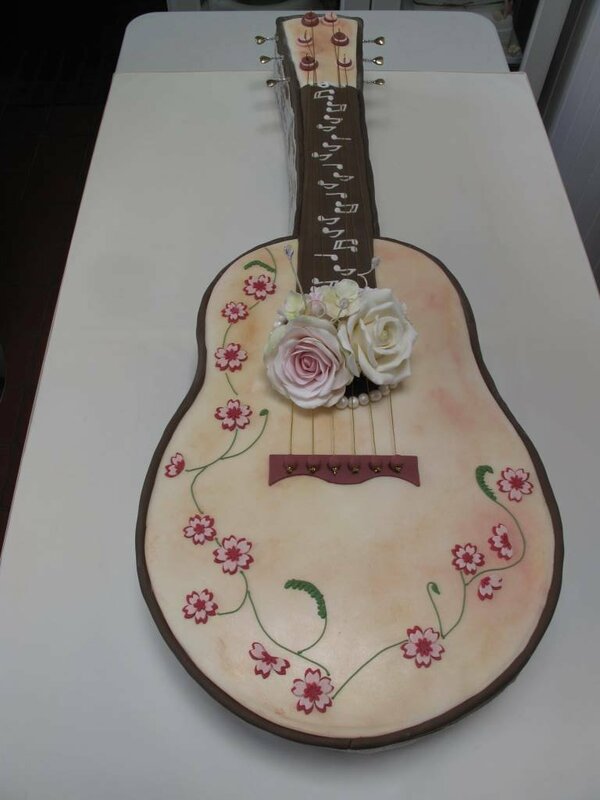 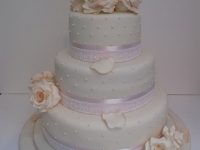 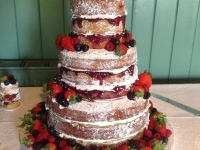 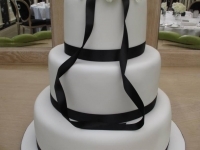 If you have a strict budget or the cake really isn’t high on your long list of wedding purchases, we can offer you one of our ‘Simply Elegant’ white wedding cakes as a wedding cake solution. See our Ordering Information page for further details. 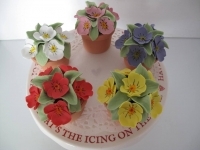 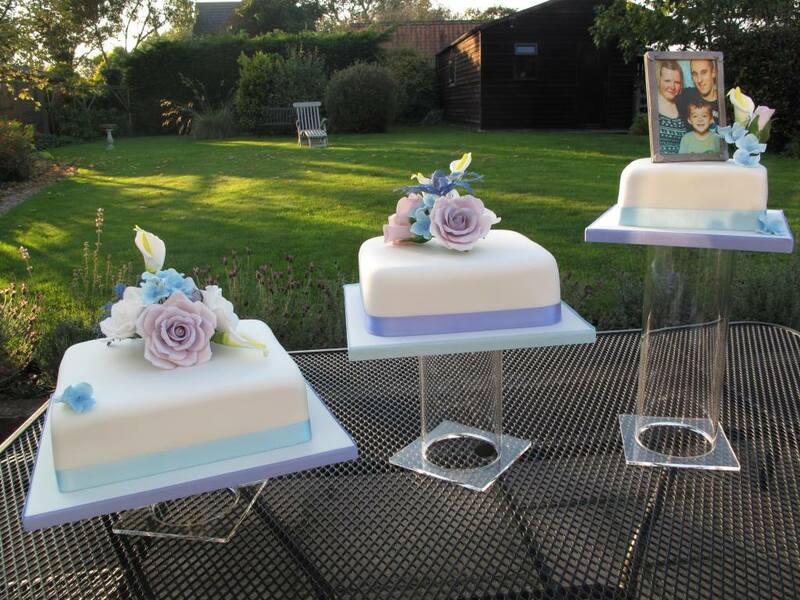 All of our decorations are handcrafted and can be colour co-ordinated to match elements of your wedding day. 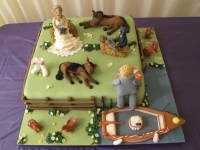 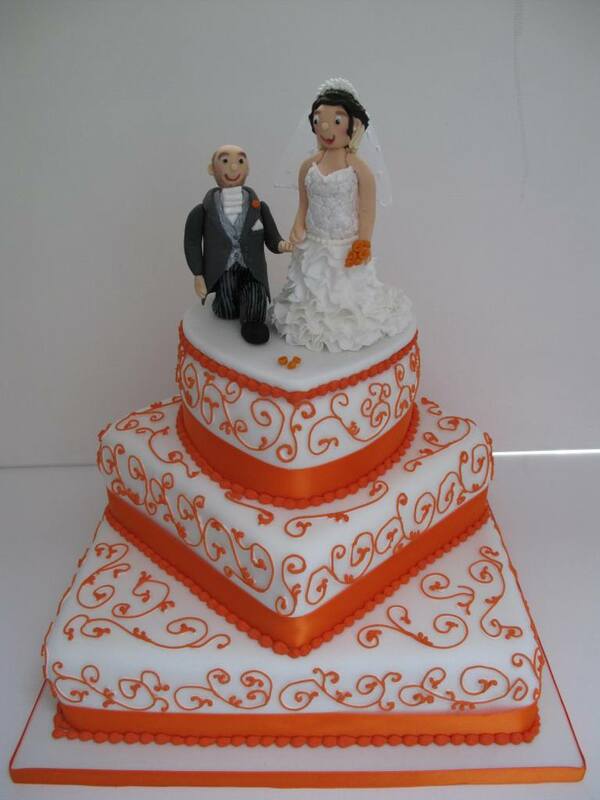 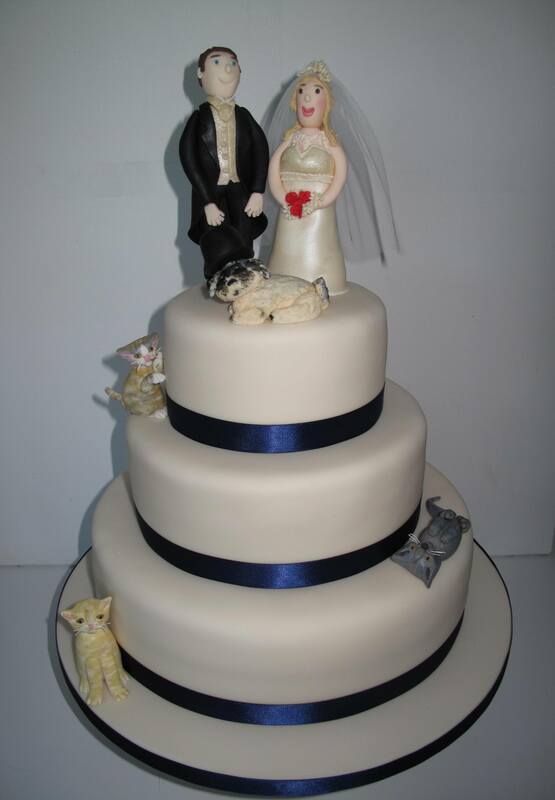 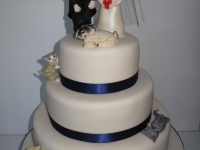 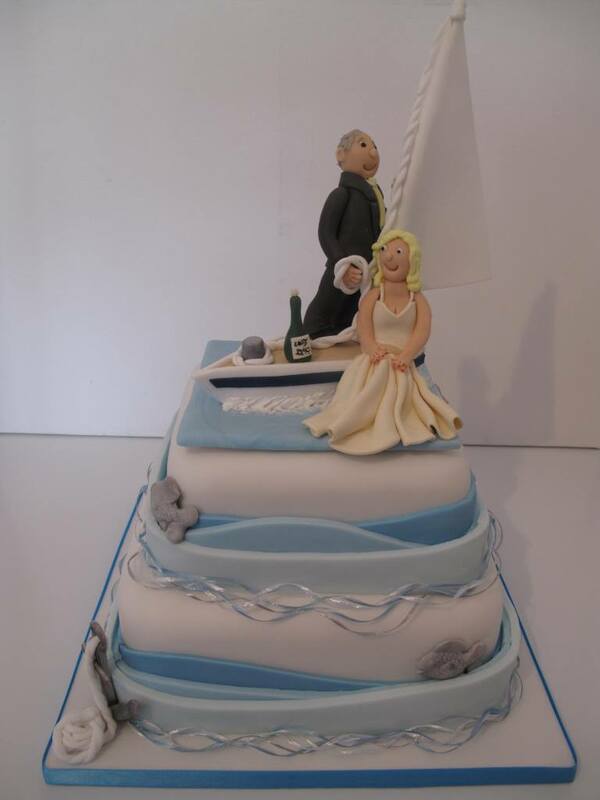 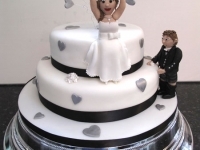 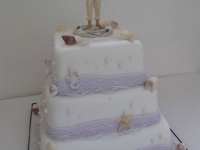 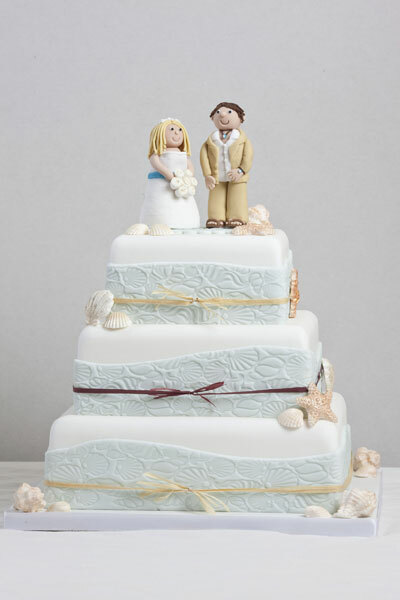 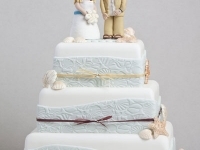 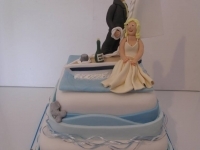 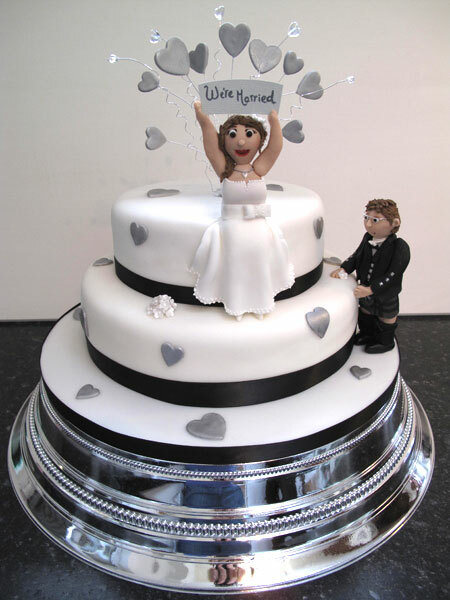 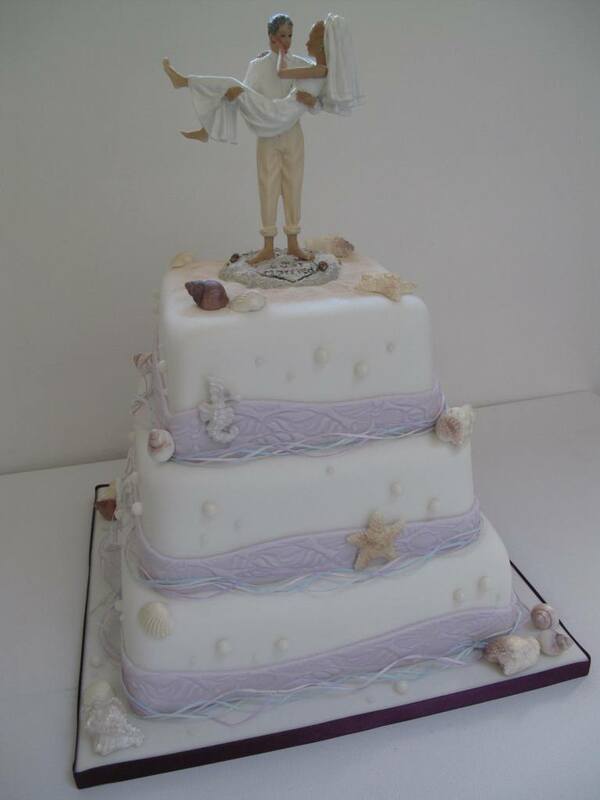 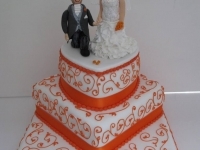 We can even personalise our wedding cake topper characters to reflect the bride and groom, e.g. 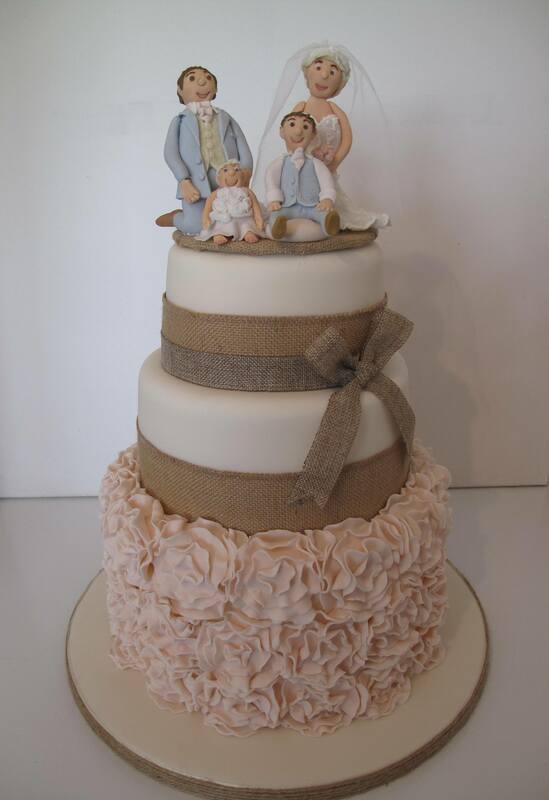 their clothes and hair colouring. 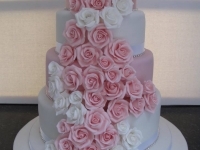 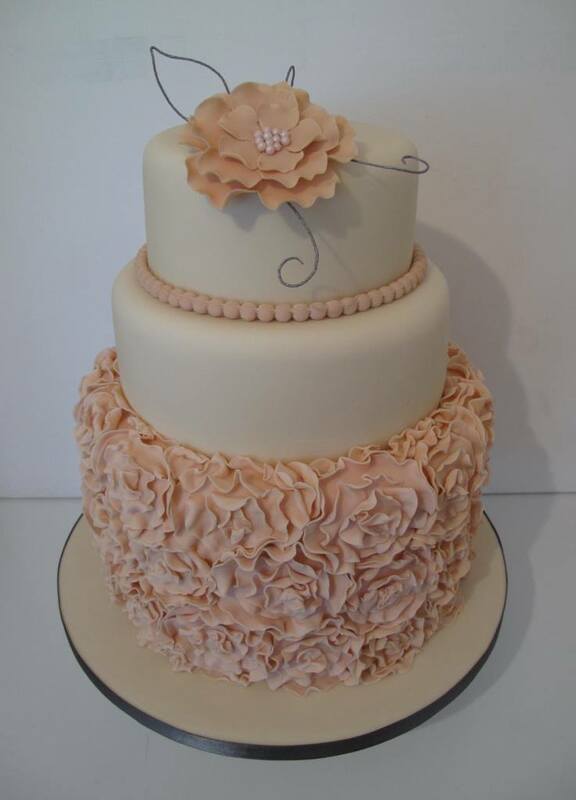 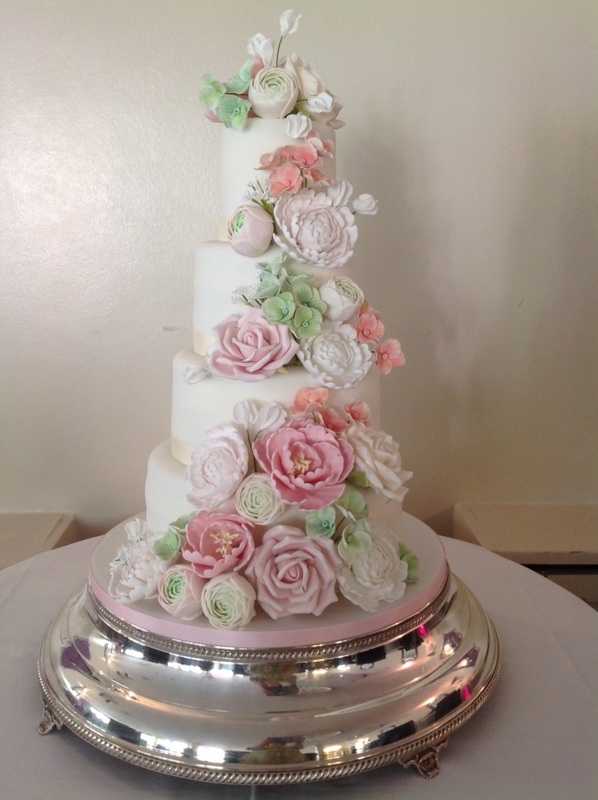 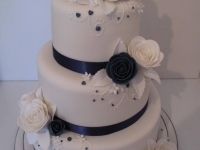 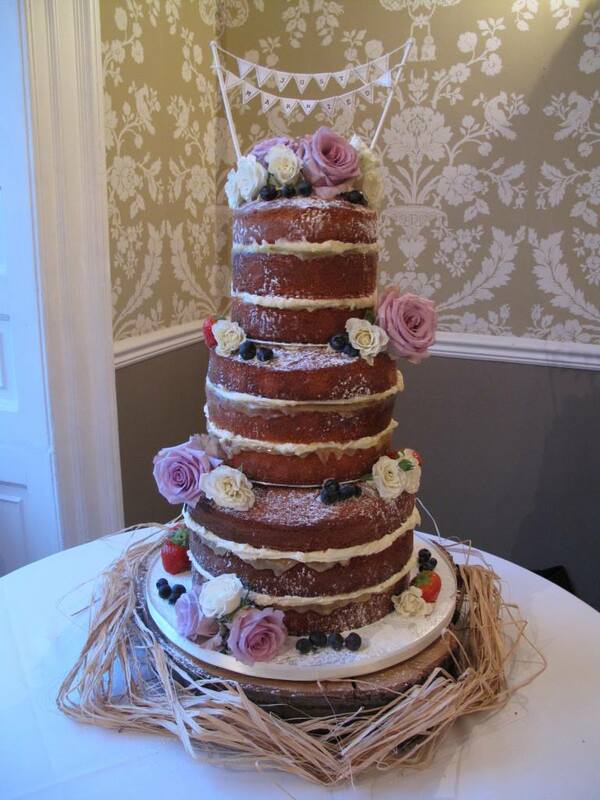 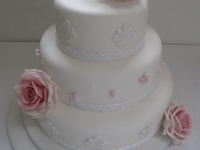 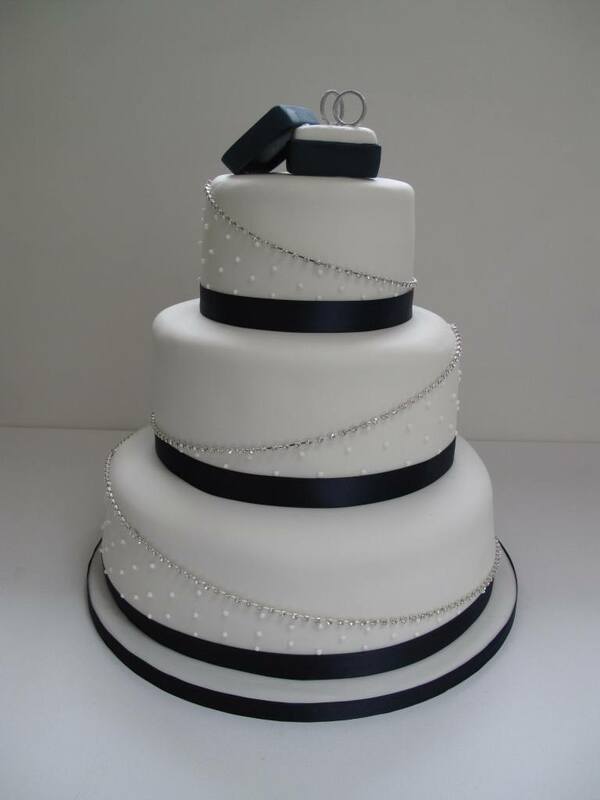 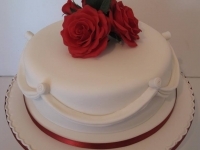 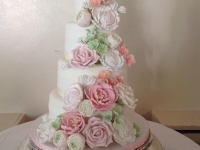 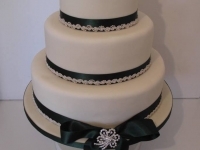 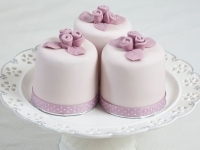 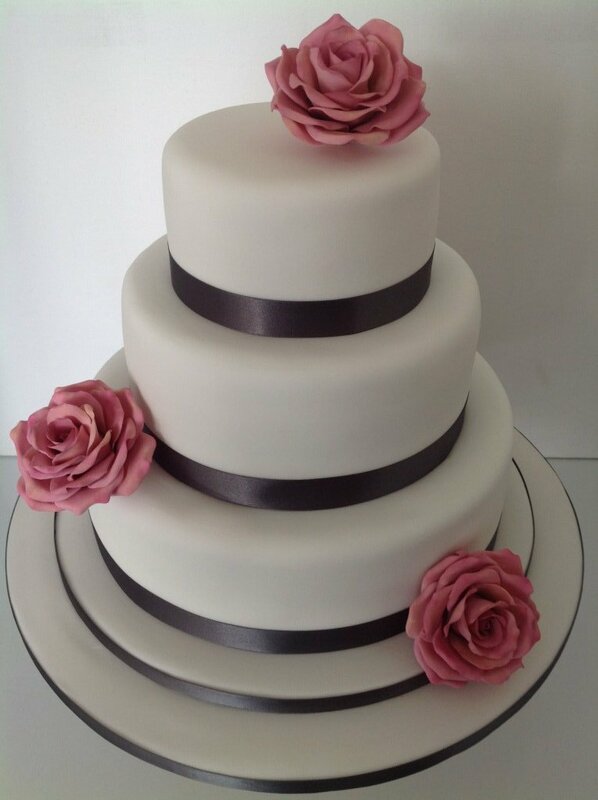 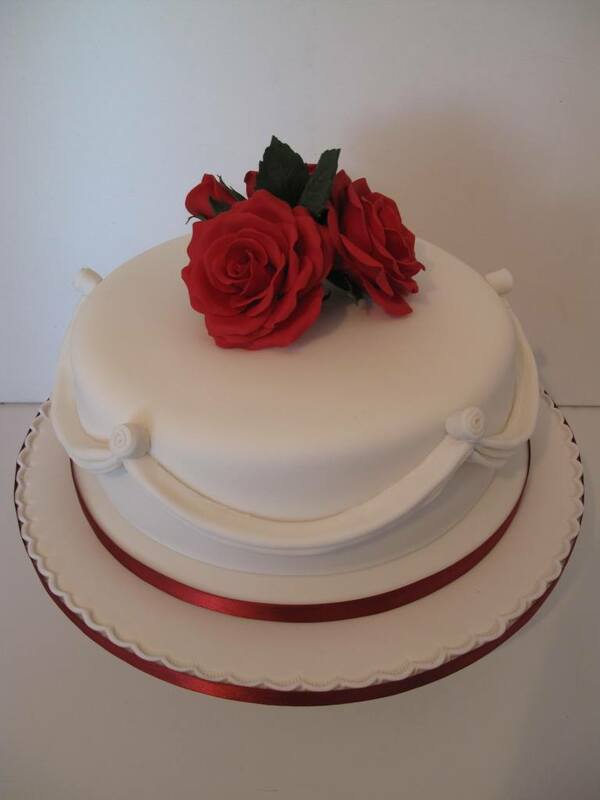 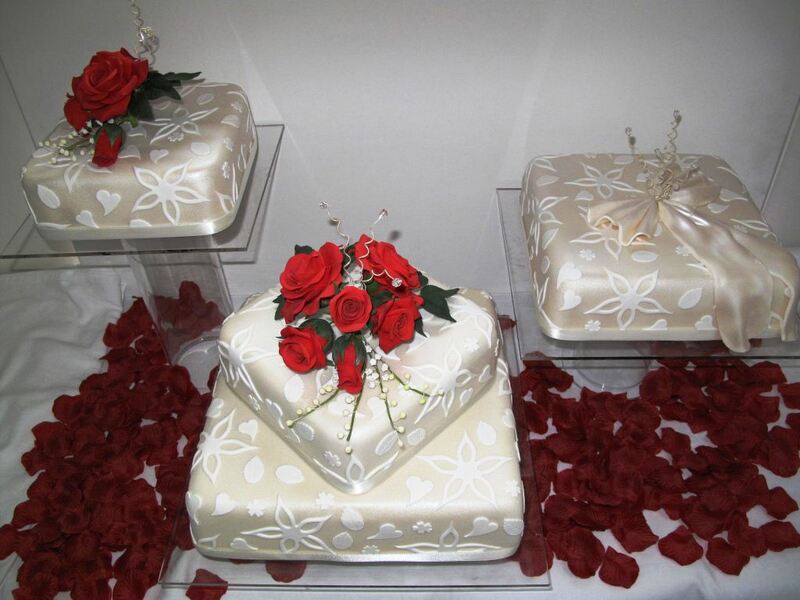 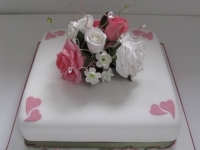 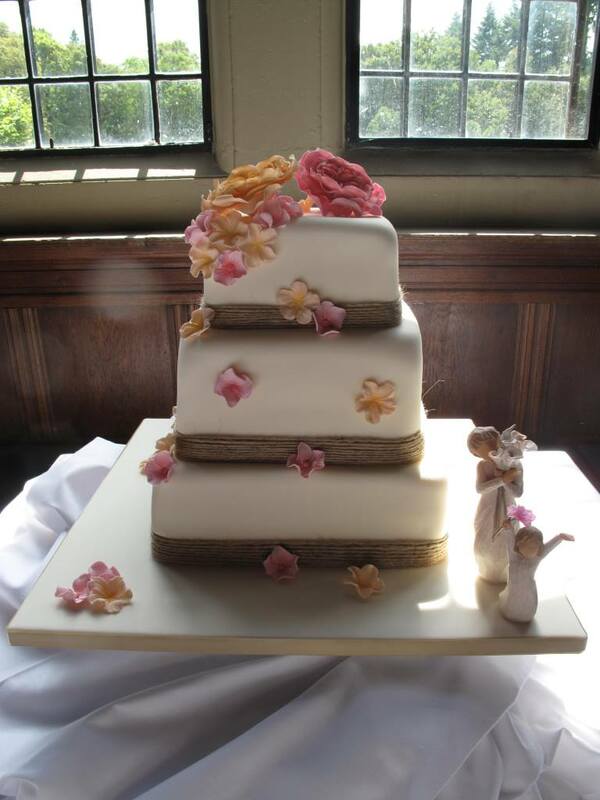 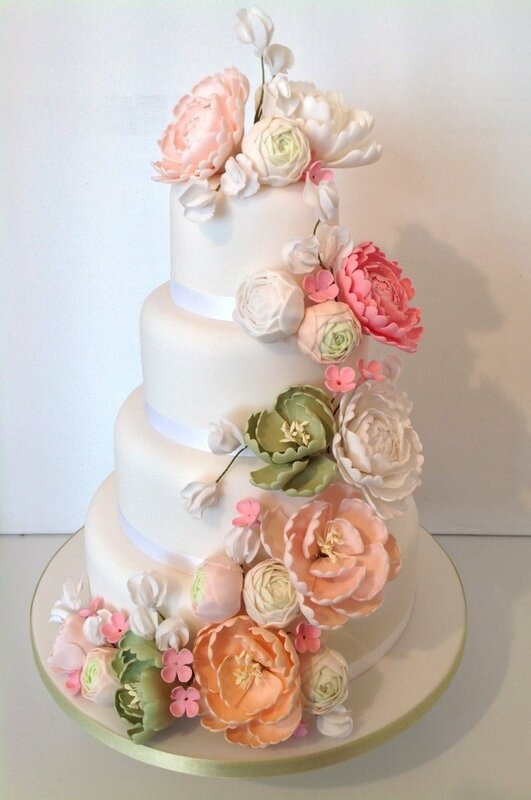 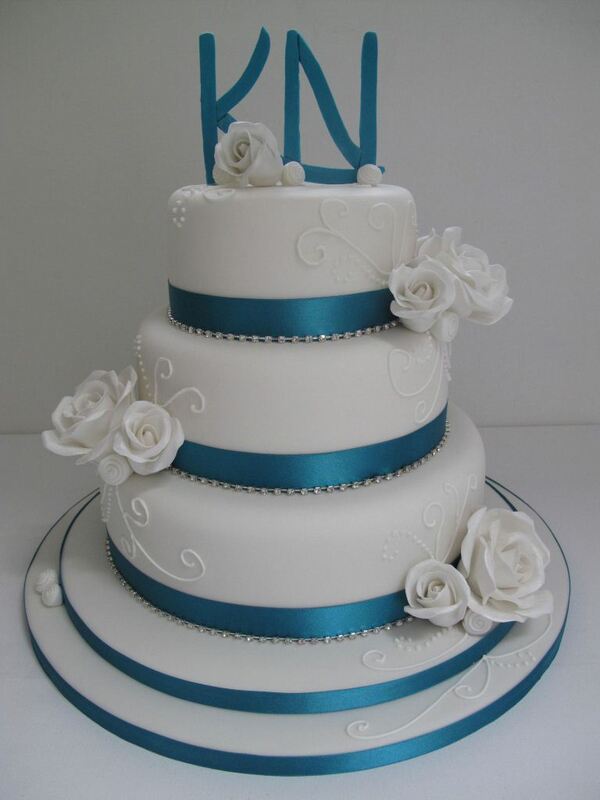 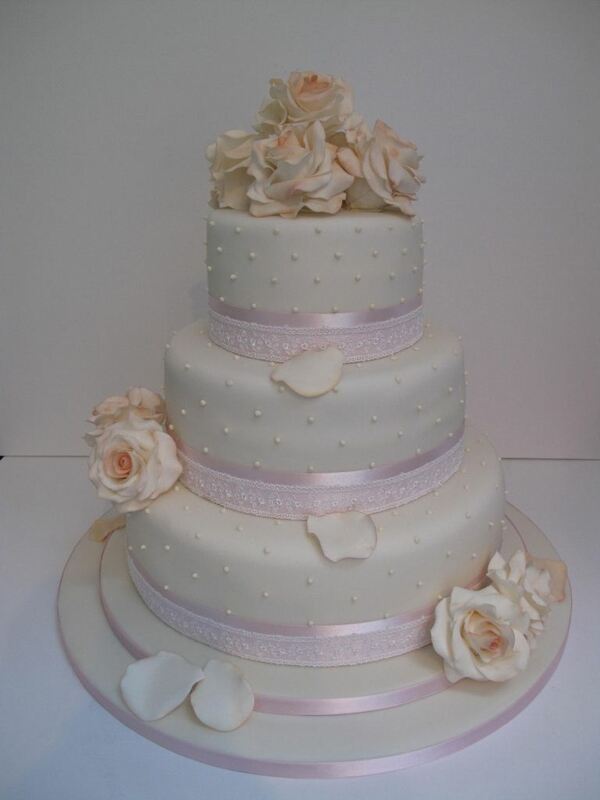 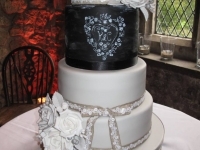 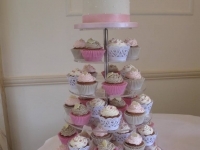 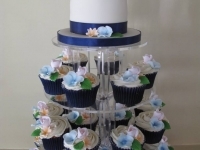 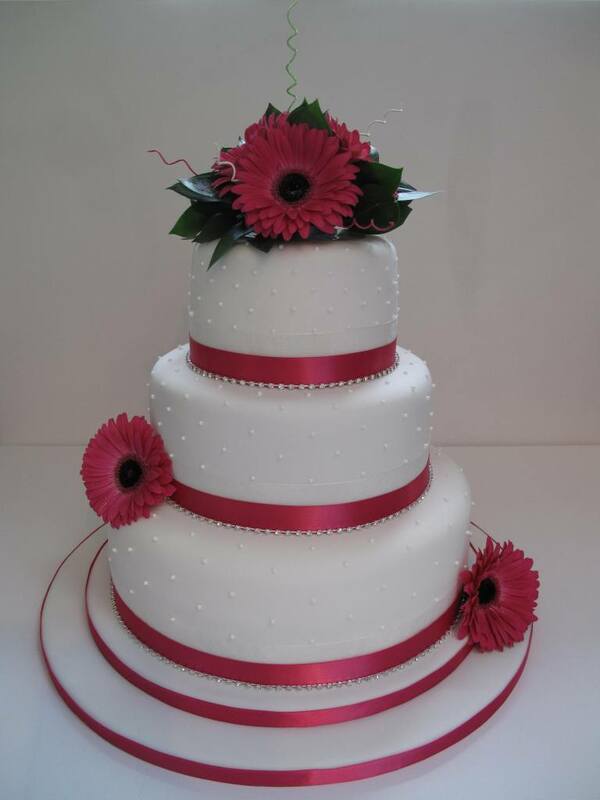 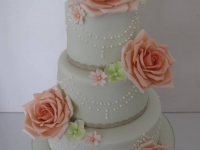 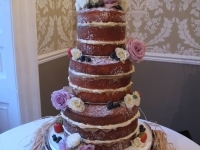 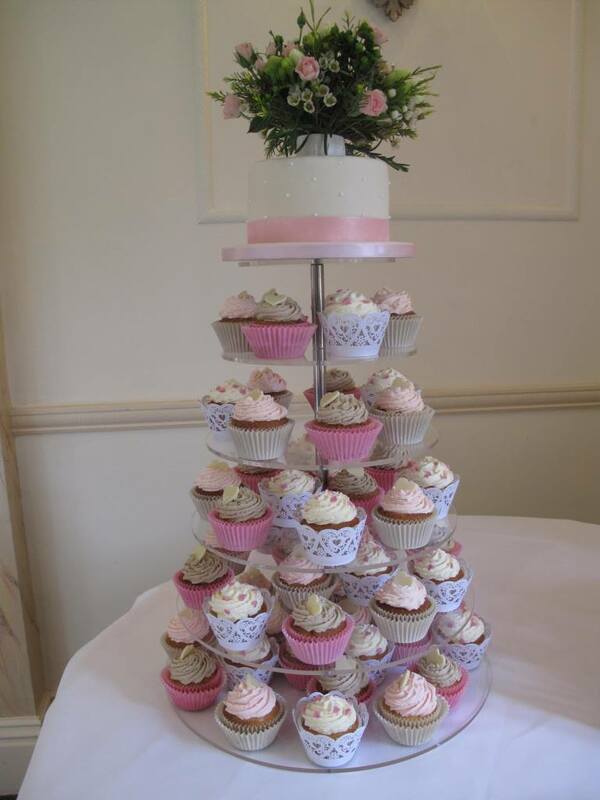 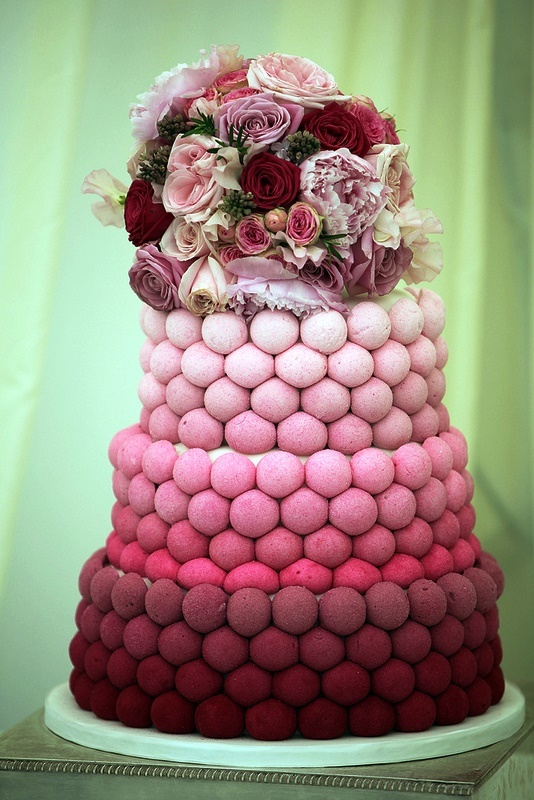 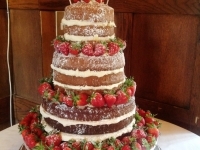 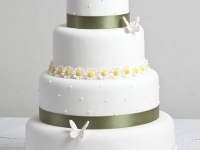 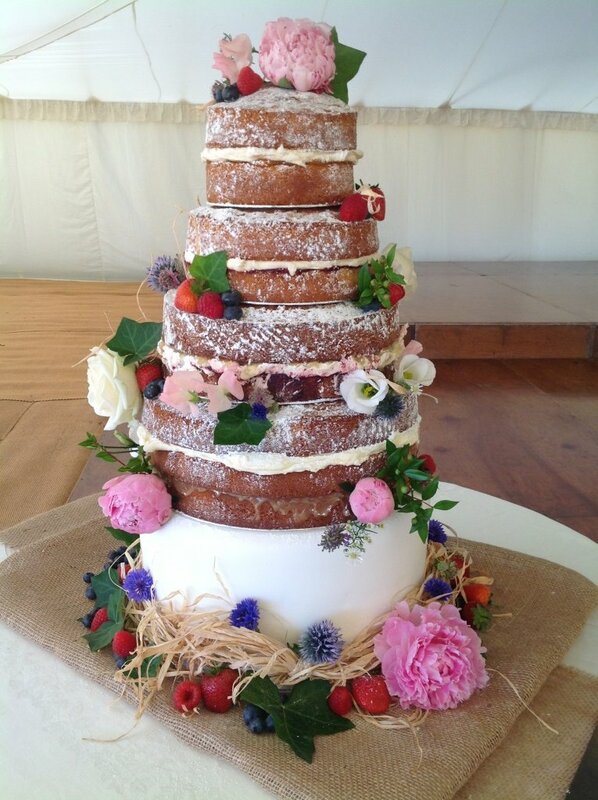 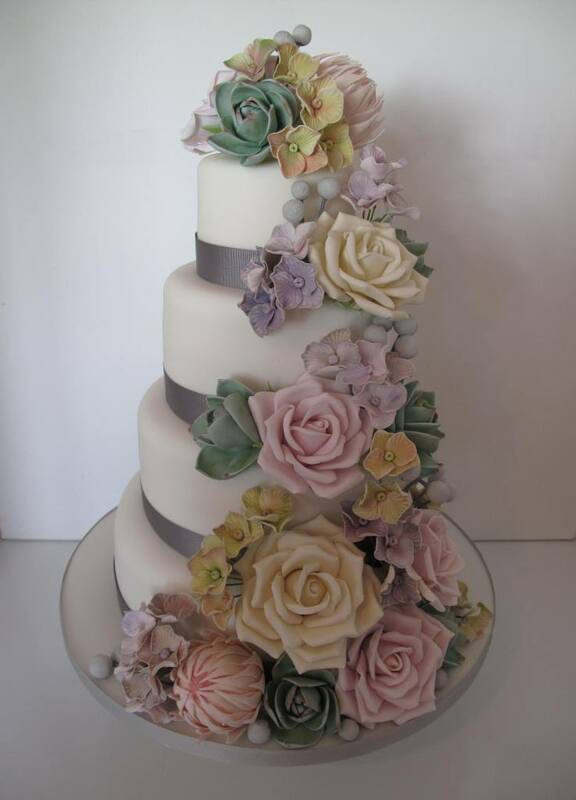 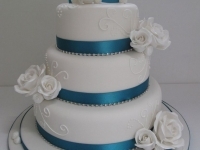 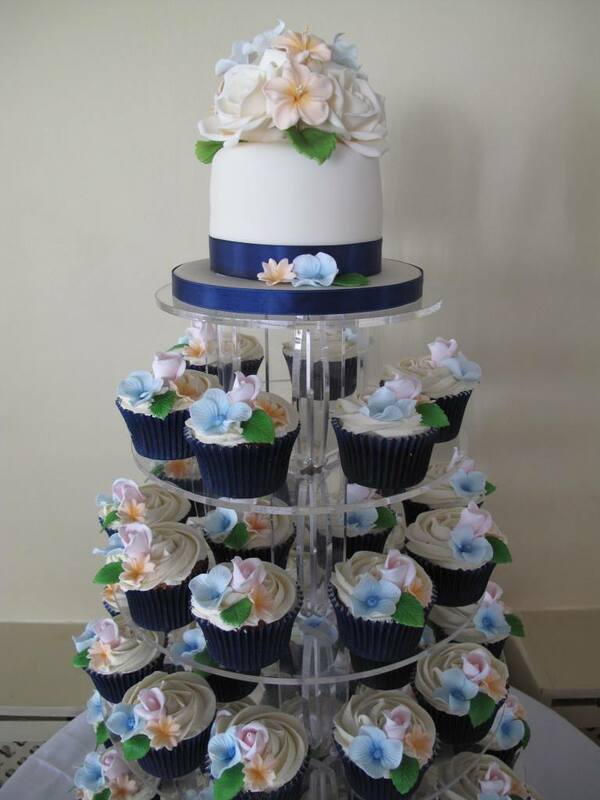 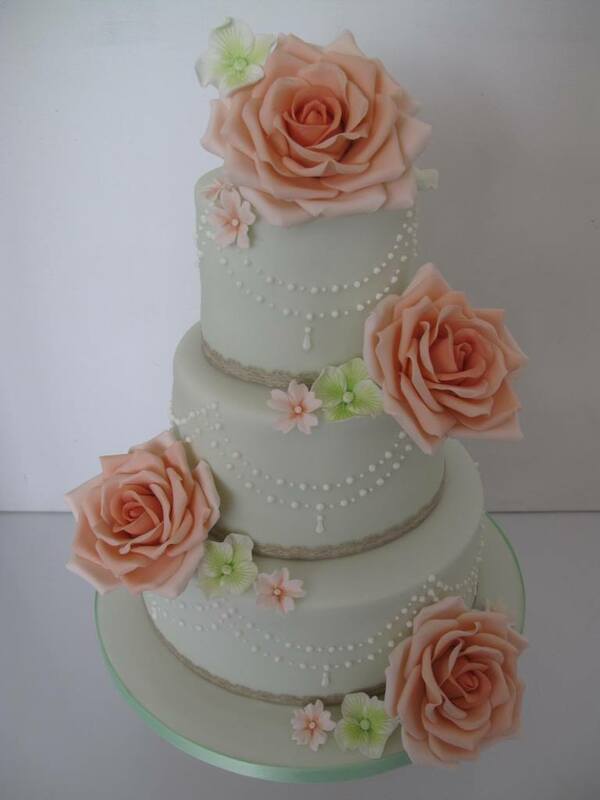 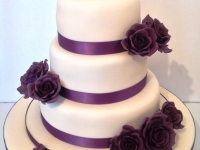 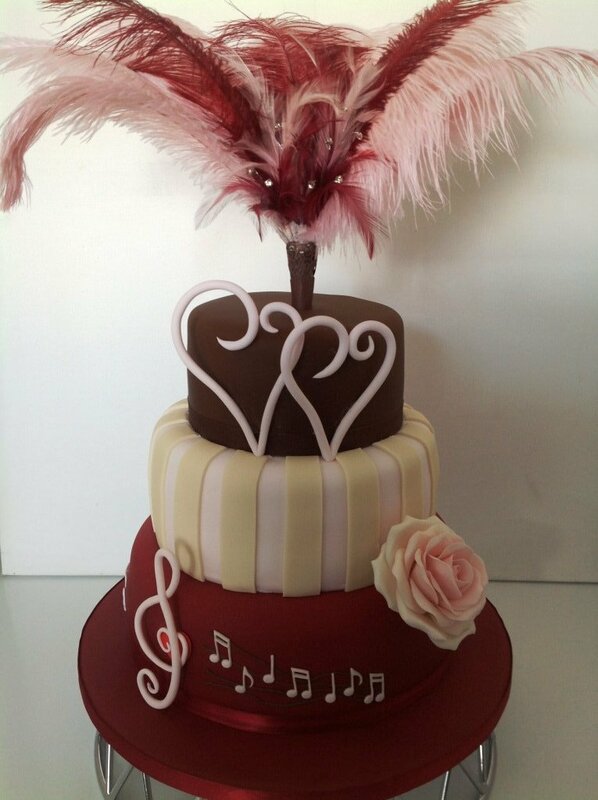 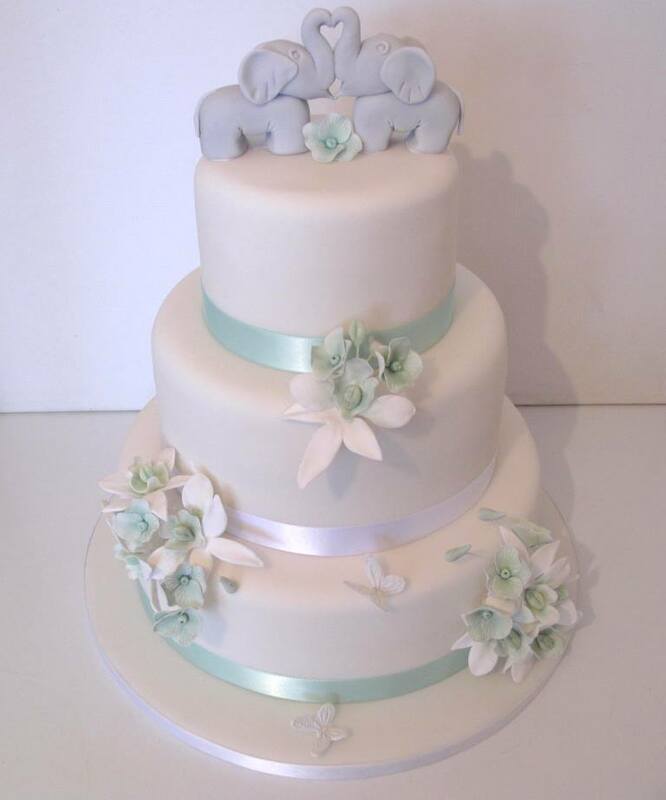 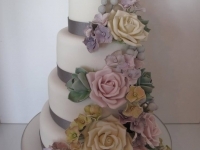 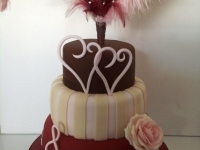 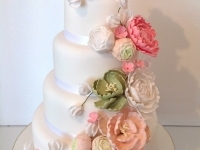 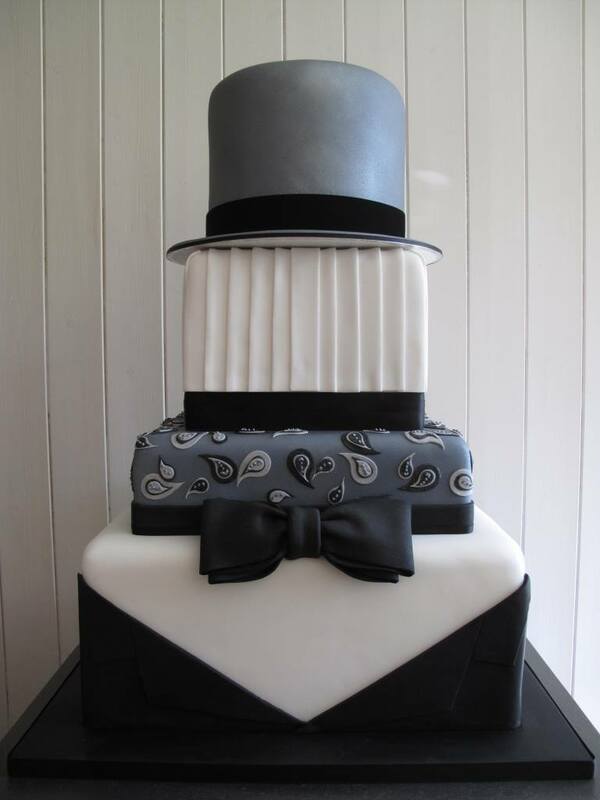 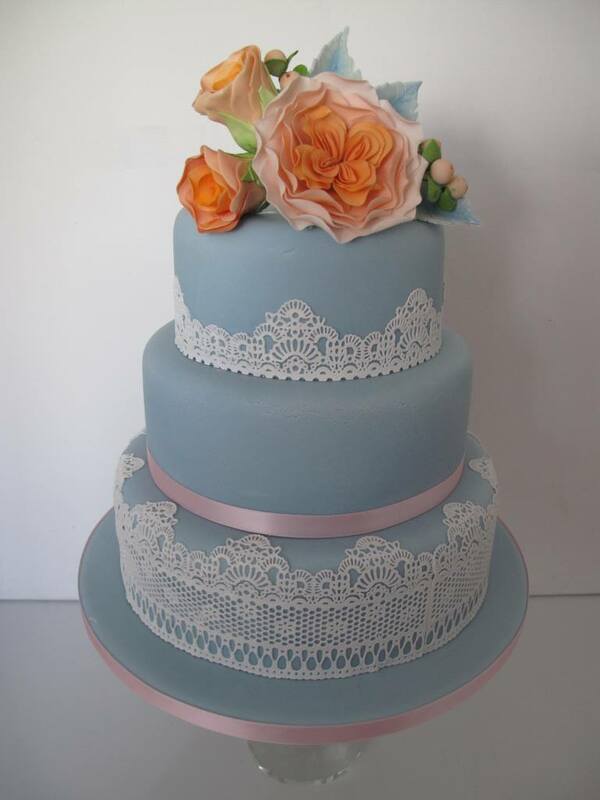 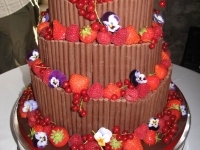 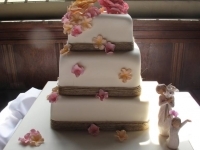 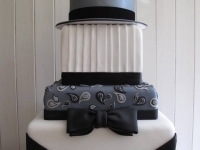 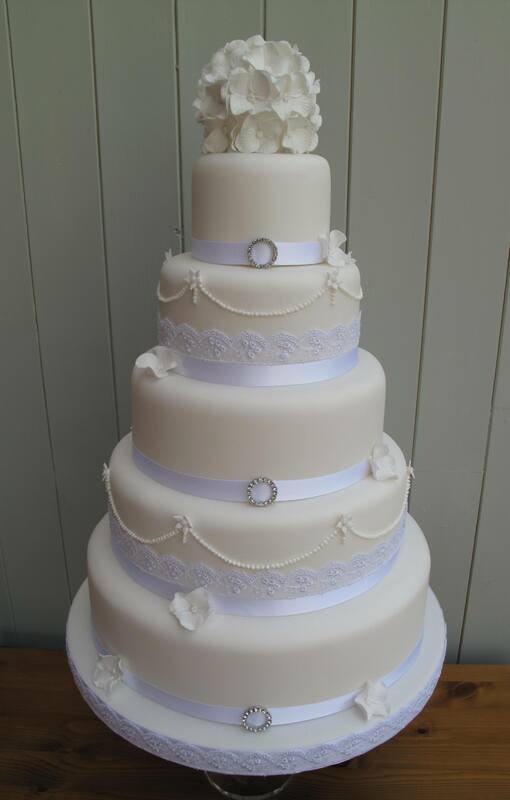 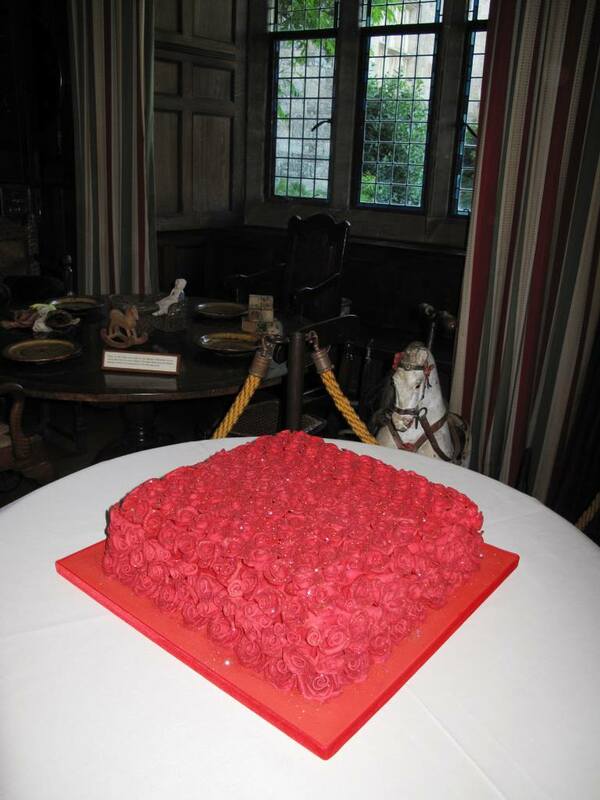 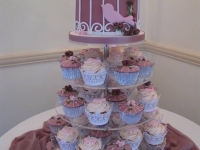 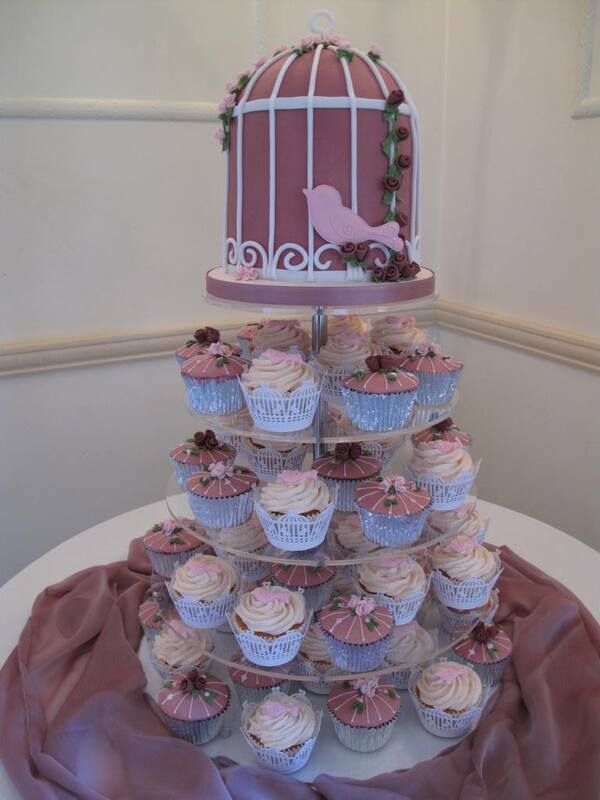 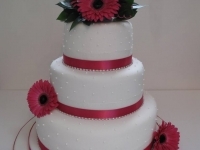 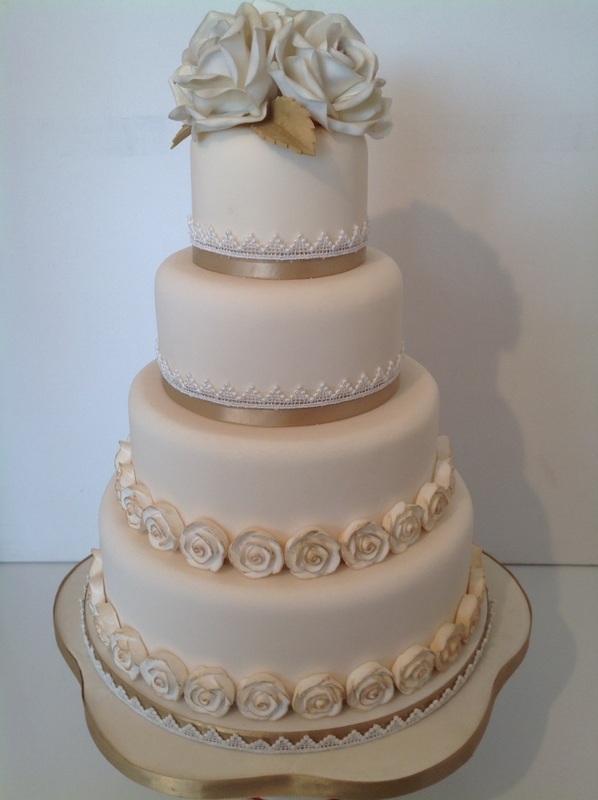 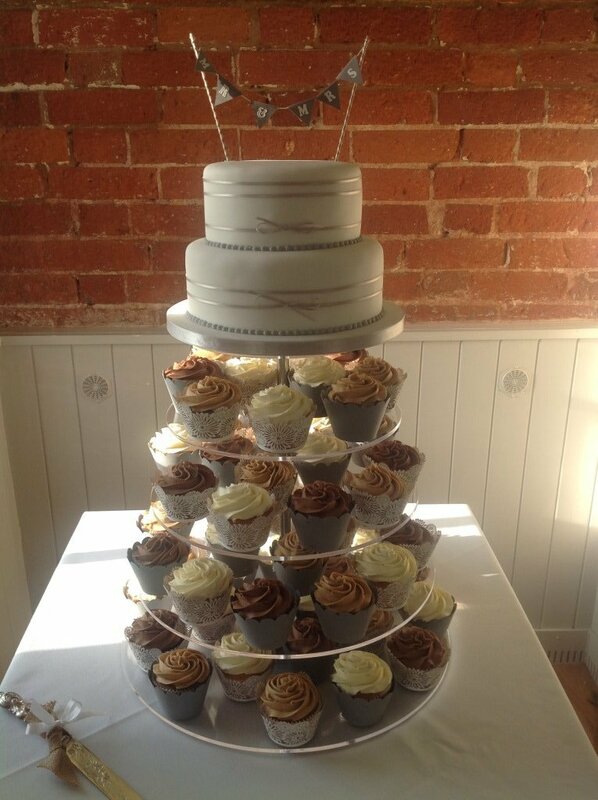 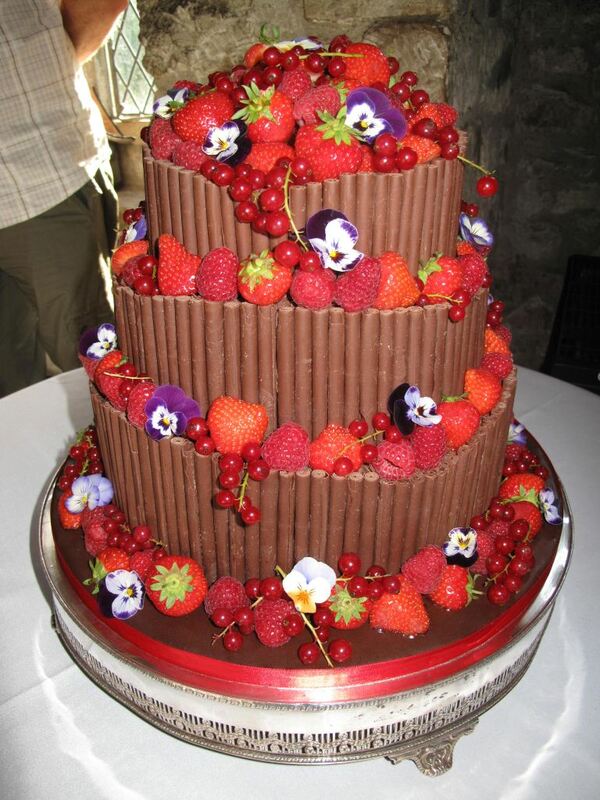 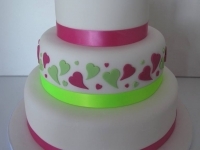 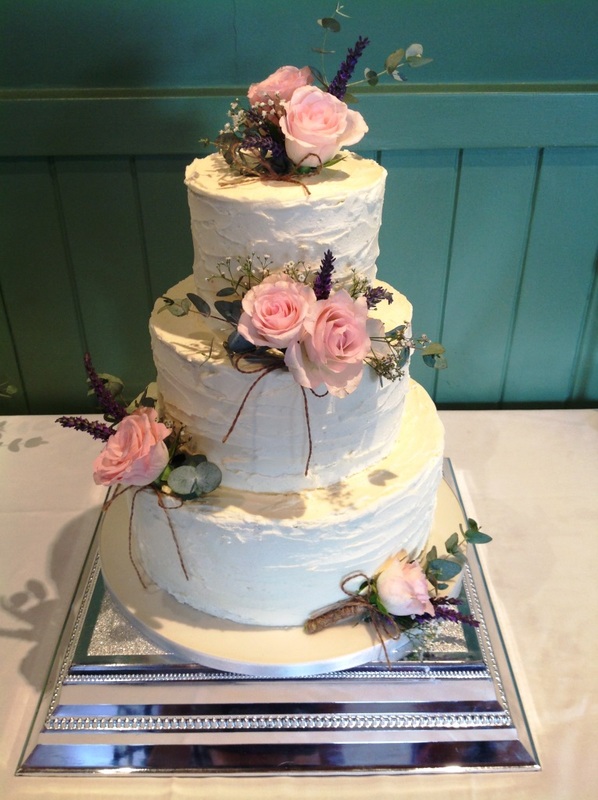 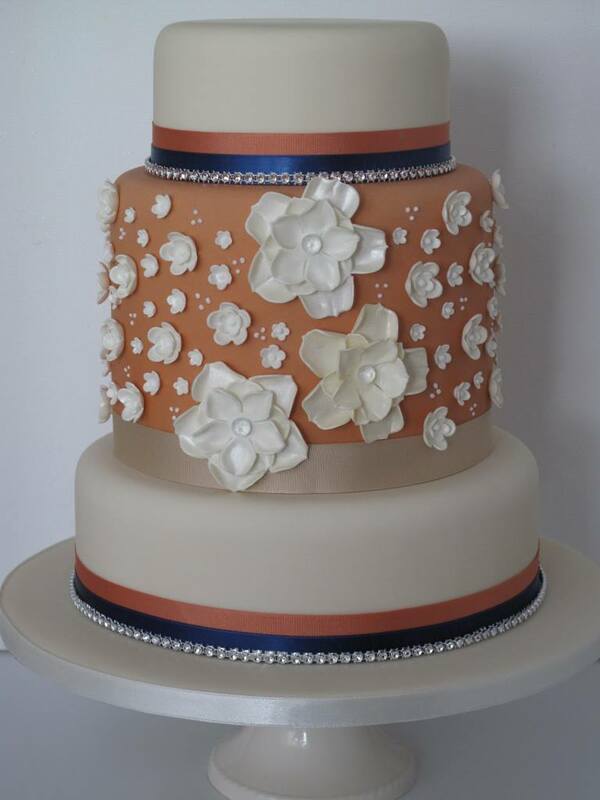 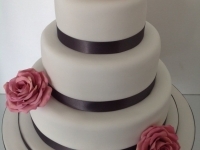 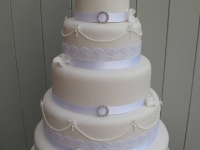 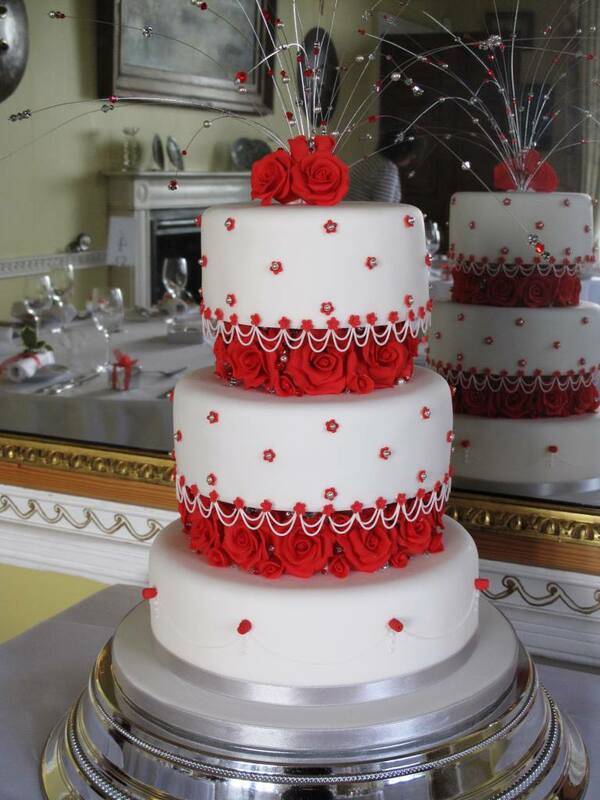 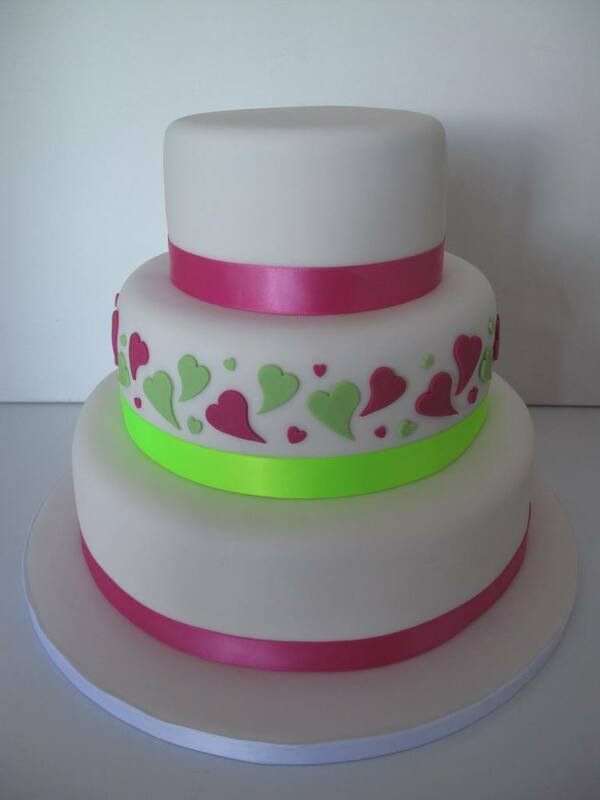 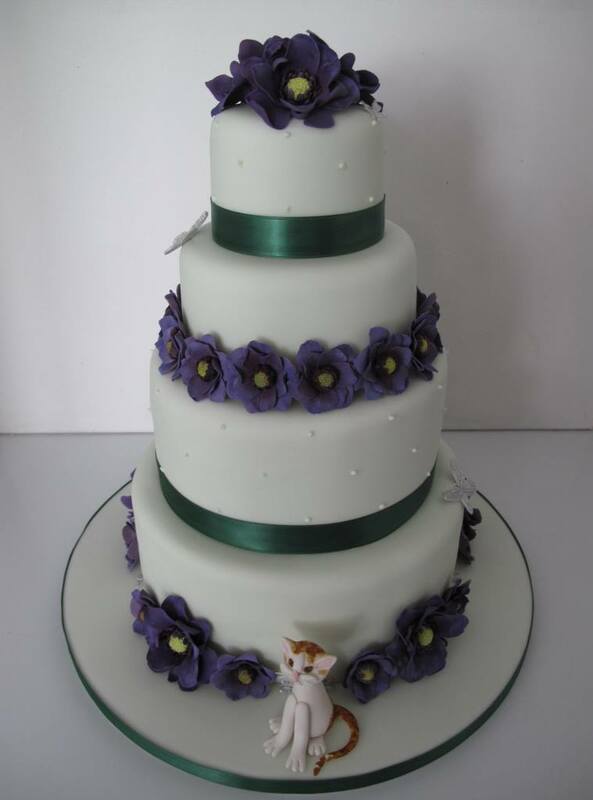 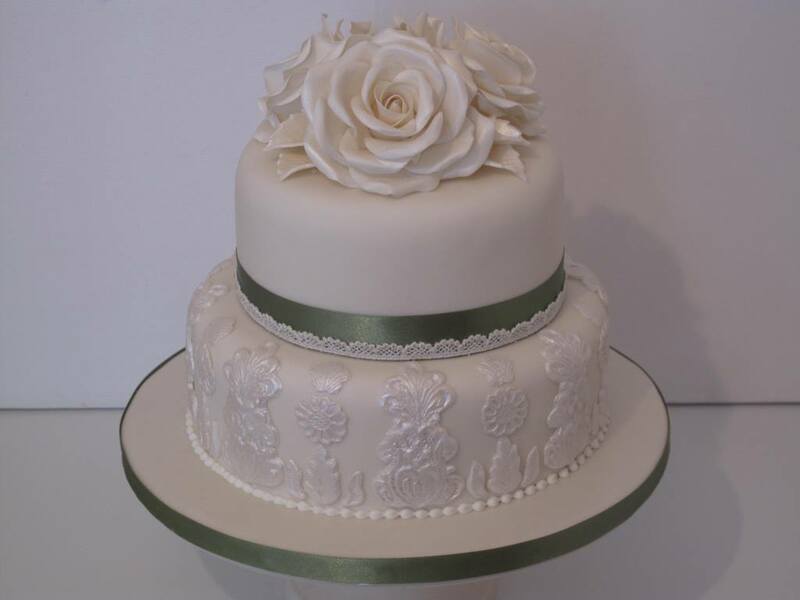 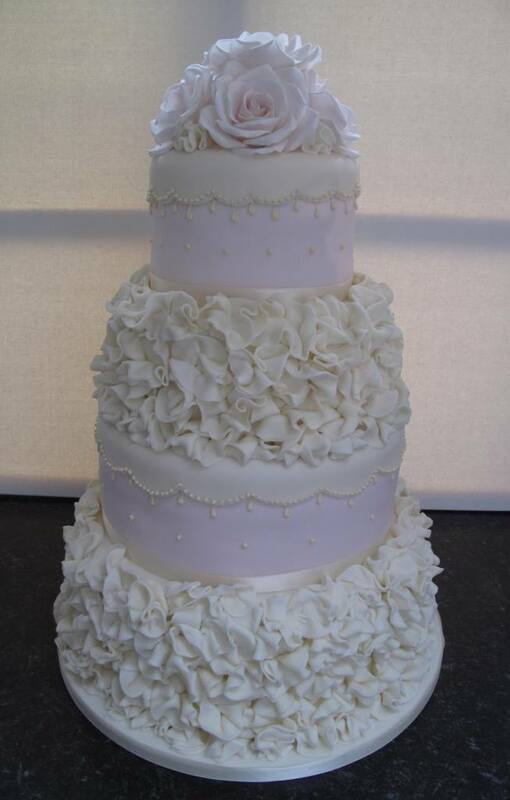 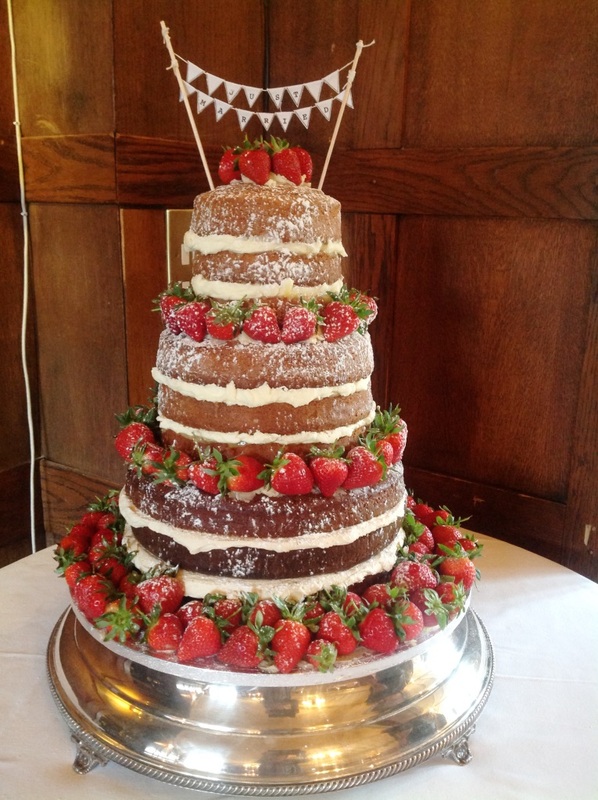 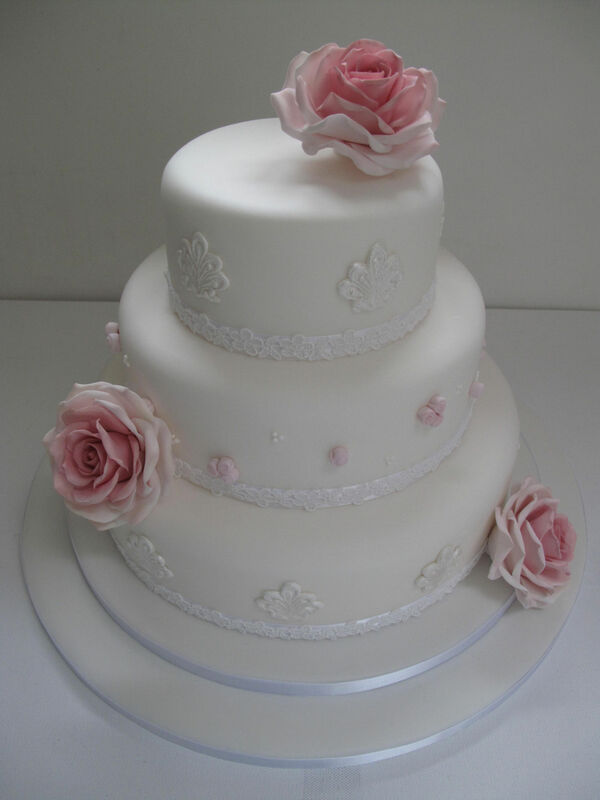 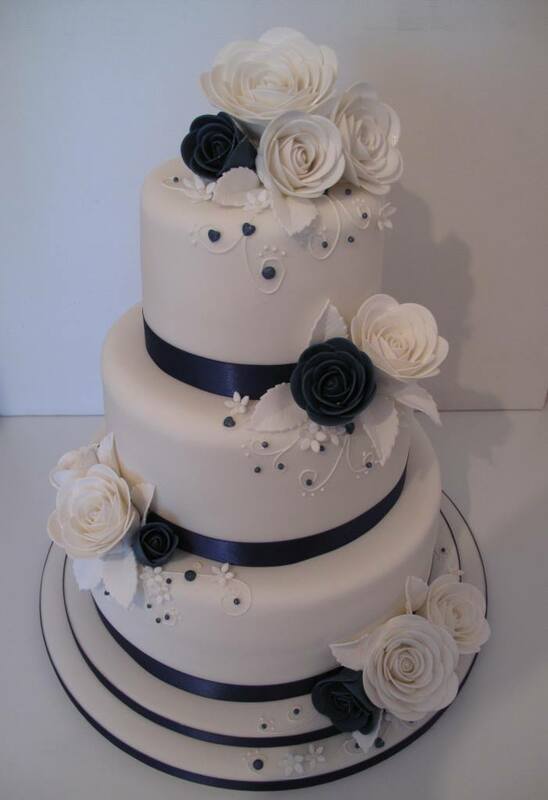 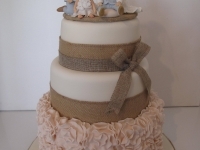 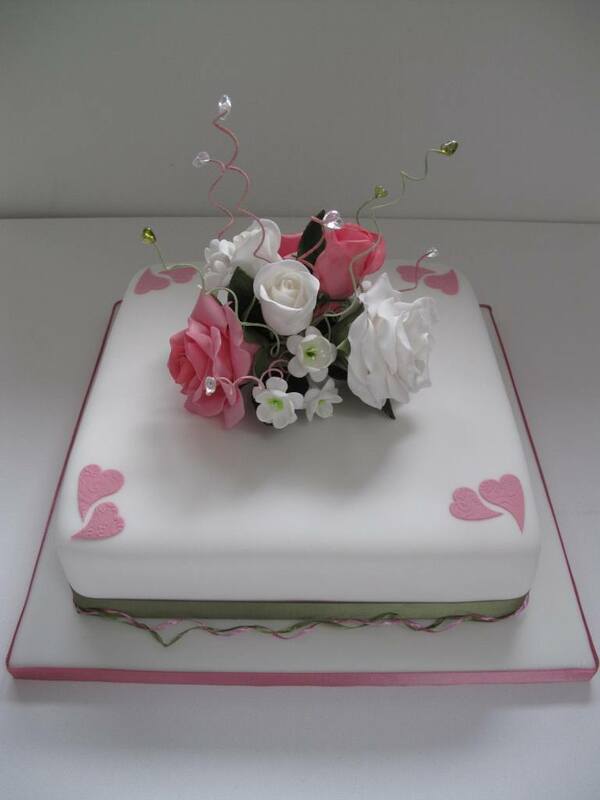 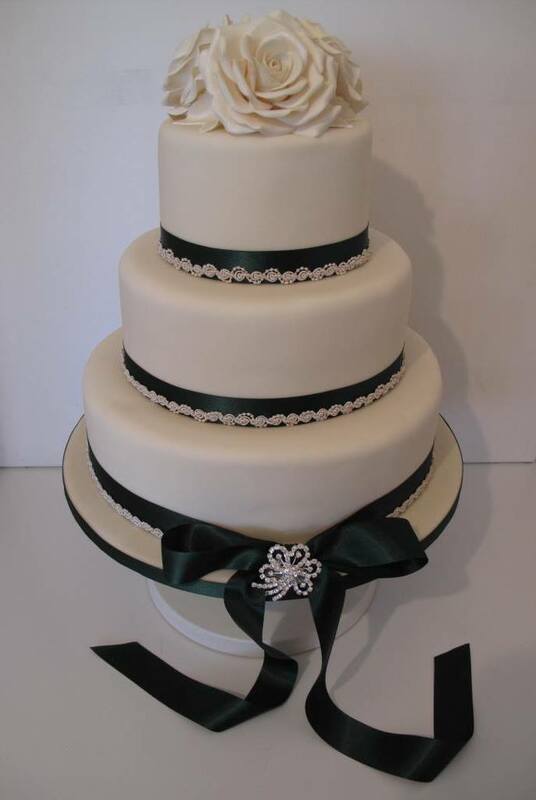 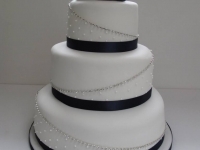 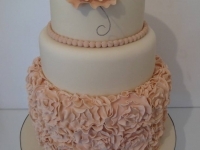 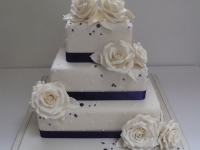 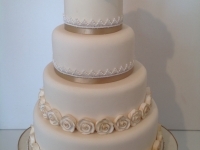 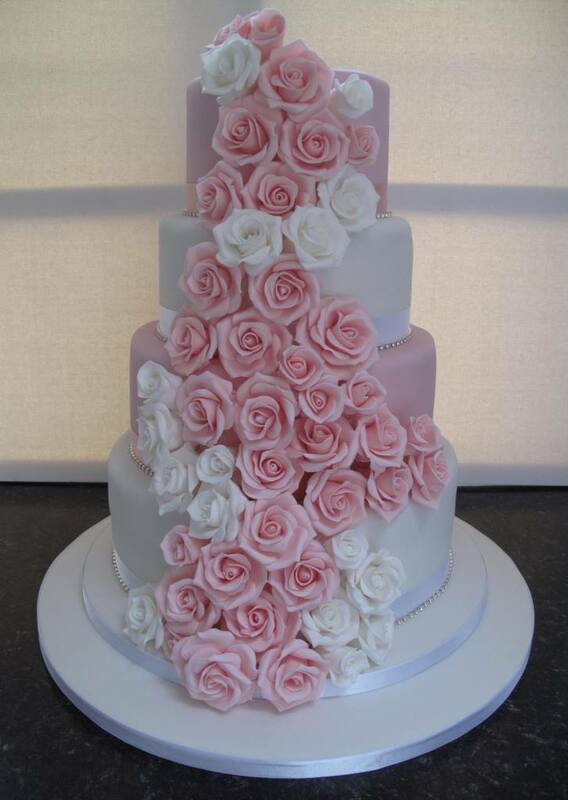 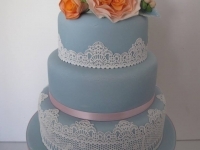 We can stack or create cake tiers in different flavours, onto white wedding cakes or different coloured tiers. 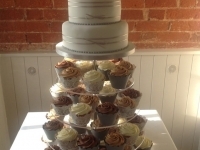 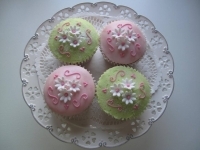 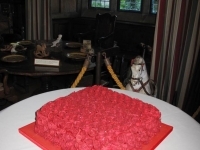 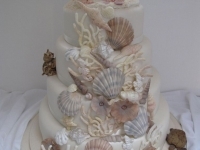 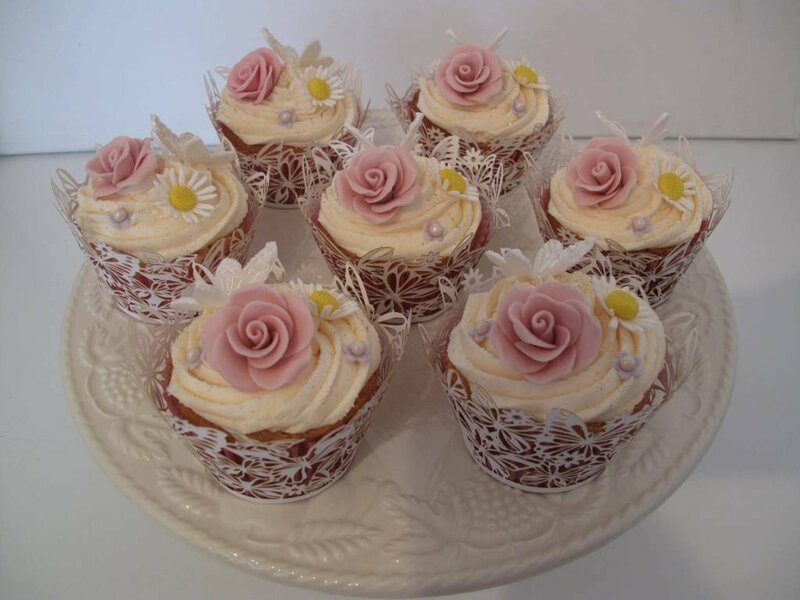 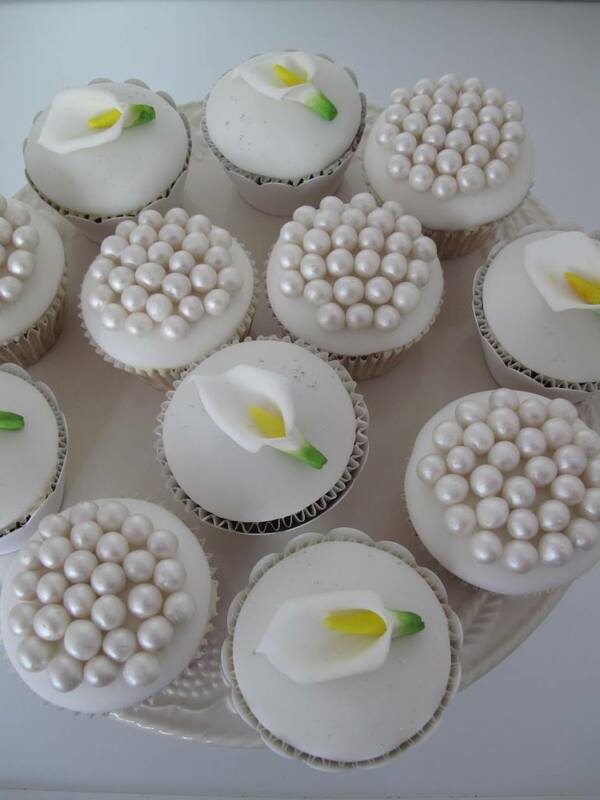 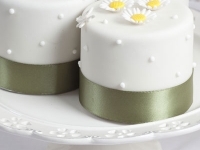 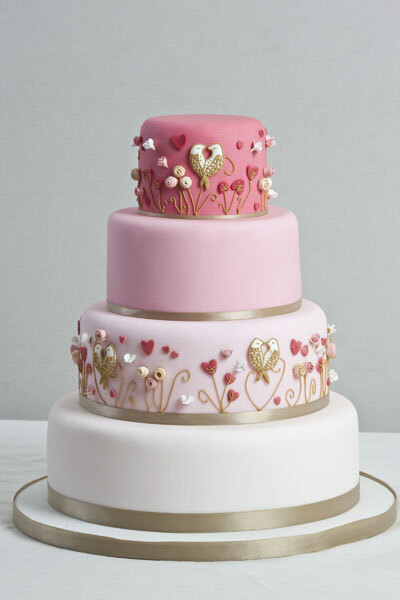 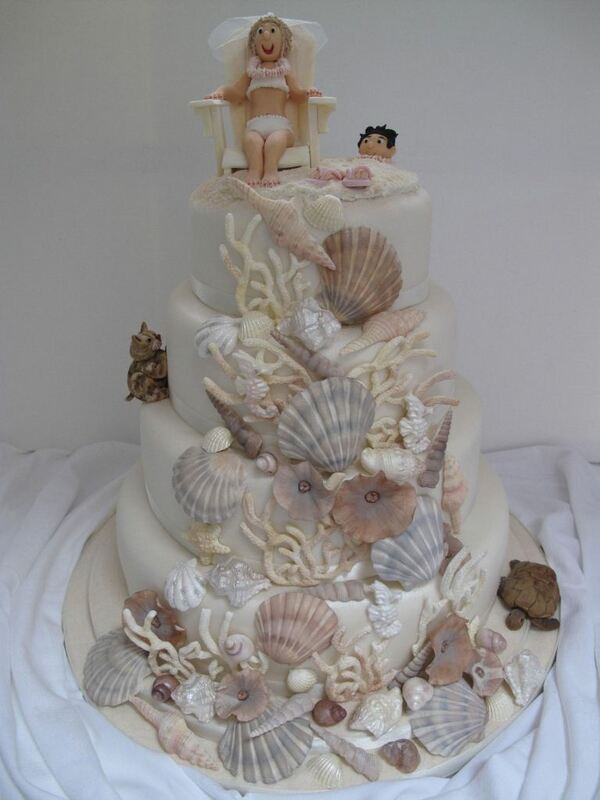 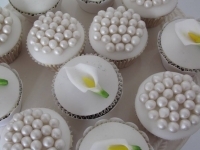 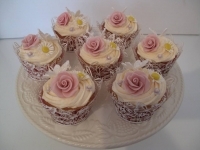 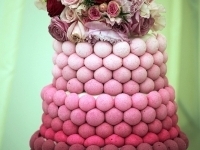 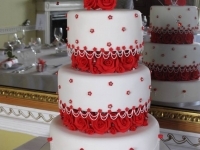 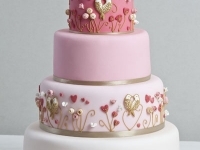 A cake tasting is included as part of your wedding consultation. 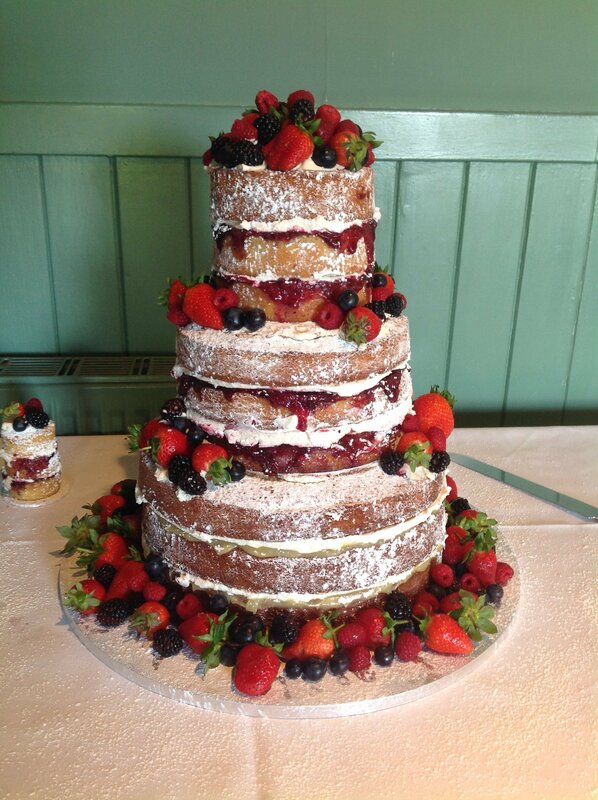 When deciding what sized cakes to order, you will find our handy cake portion guide very helpful. 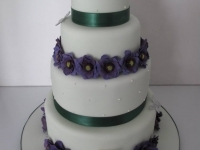 For further product information see our Order Information page.